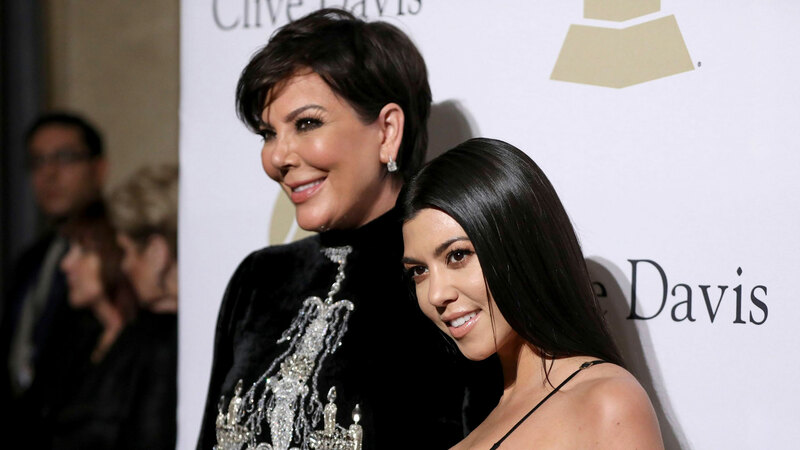 Just one day ago, Kourtney Kardashian launched her lifestyle brand, Poosh, and since, we’ve learned all kinds of interesting things from her, from luxurious night-in must-haves to Kardashian’s tips to living a more mindful life. All in all, the website is incredibly on-brand for her — including the brownie recipe she shared posted on the site. Kourt has always been the one Kardashian who consistently lives a very healthy, clean life, be it with the cleaning products and the beauty products she uses or what she eats. So it’s refreshing to see she isn’t afraid to embrace sweets every once in a while. But in true Kourt fashion, she slightly tweaked the ingredients to make the recipe gluten-friendly and dairy-free. “Kris has baked these for her family for years, and Kourt has carried on the tradition by making the chocolate treat with her kids,” the website states. The brownies are so famous, they’ve even appeared on the family show a few times. 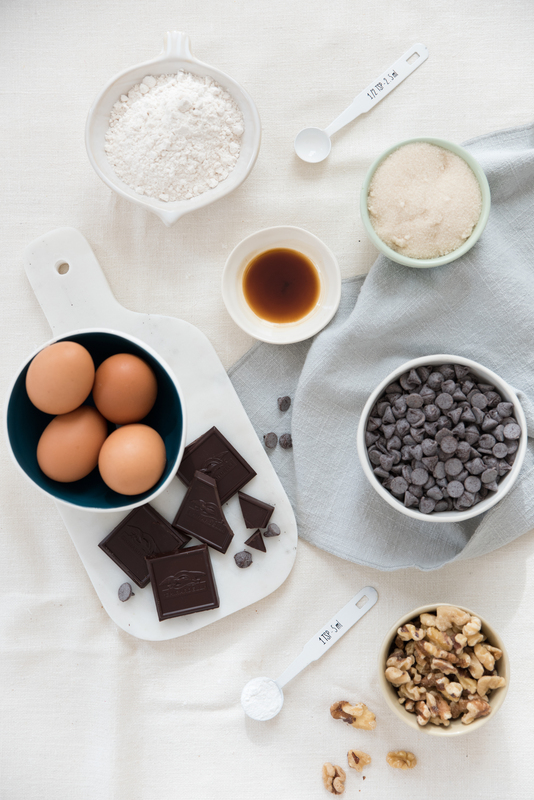 Two ingredients in Jenner’s recipe caught our eye, though: mini semisweet chocolate chips and walnuts. Though not unusual, it leans a little less traditional, and we wouldn’t expect anything less from Jenner. Plus, who wouldn’t want a little more texture and tiny pockets of gooey chocolate in their brownies? 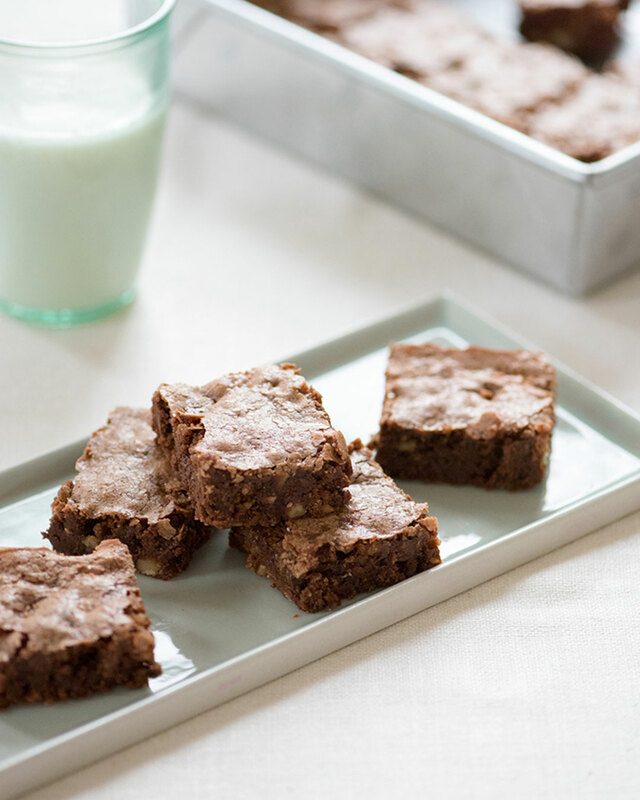 To top it off, Jenner’s brownies, which take a little over 30 minutes to make, are sprinkled with confectioners sugar, and we don’t know about you guys, but we’d eat the entire pan. If you want to recreate these world-famous treats yourself, you can check out the full recipe over on Poosh.